Will there be anything left for Google to reveal? 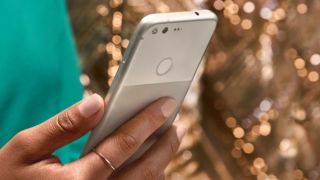 Google’s latest flagship is due to make an official appearance some time in October, but leaks and rumors of both the Pixel 3 and Pixel 3 XL have been coming in thick and fast. While the availability of the Pixel 3 XL on the Russian black market has pretty much taken away any surprises, a new unboxing video of the larger Google flagship handset has landed on YouTube and leaves absolutely nothing to the imagination. The professional high-quality video reveals the Pixel 3 XL in all its hi-res glory, along with everything else that comes in the box. First discovered by Android Authority and posted by YouTuber In DIGI, the two-and-a-half-minute video shows off the glass-backed phone, along with the wired USB-C Pixel Buds said to be accompanying the forthcoming Google flagships, as well as the usual charging gear. The video also reveals a Quick Switch adapter and #teampixel stickers. Once the phone is booted, the video confirms there’s a notch on the large screen and that it’s powered by Android 9. Also demonstrated in the video are the phone’s selfie capabilities. As for what's reportedly under the hood, the Pixel 3 XL is expected to sport a Qualcomm Snapdragon 845 processor with either 4GB or 6GB of RAM.